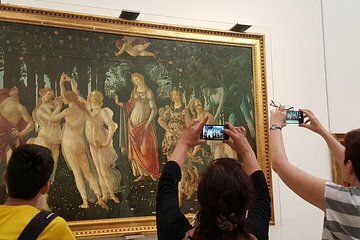 Extensively explore the Uffizi Gallery in Florence on this personal guided tour. Get an in-depth lesson on Italian art history at the museum, which is home to an impressive collection including the Birth of Venus and the Spring by Botticelli, the Annunciation by Leonardo Da Vinci, and the only painting by Michelangelo. Your guide will reveal secrets of these Italian painters through their best-known works.